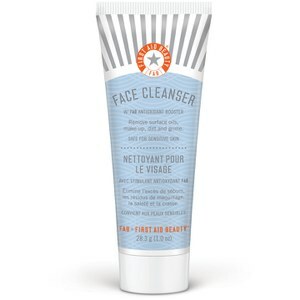 Keep breakouts at bay with First Aid Beauty Skin Rescue Acne Clearing Charcoal Cleanser; a daily medicated formula that works to promote a clearer, brighter complexion. 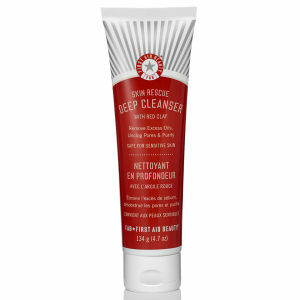 Fortified with Active Charcoal and Maximum Strength (2%) Salicylic Acid, the cleanser effectively draws out toxins and impurities from below the skin's surface. Bentonite and Kaolin Clays decongest skin, whilst Yoghurt Extract and Probiotics eliminate breakout-causing bacteria. Expect a smoother, more refined visage with a healthy glow. Free from parabens, phthalates, sulphates, artificial colorants, mineral oil, lanolin, alcohol, gluten and petrolatum.